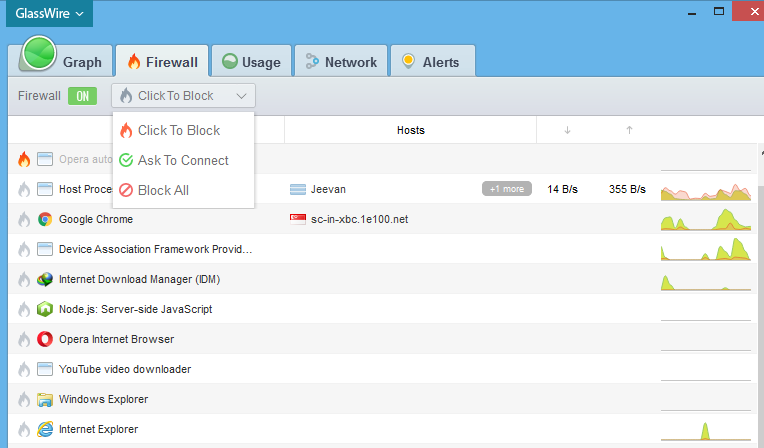 So, You are looking for some Alternative for Windows Firewall, Because it is not that user Friendly, and you want something, which you can use without writing any line of code or command as well as you want to save your time, ok, you must take a look for GlassWire Software, don't worry, it is free with some cool features. Why you should use it: GlassWire's firewall software reveals threats your antivirus missed, GlassWire is a free network monitor & security tool with a built in firewall. 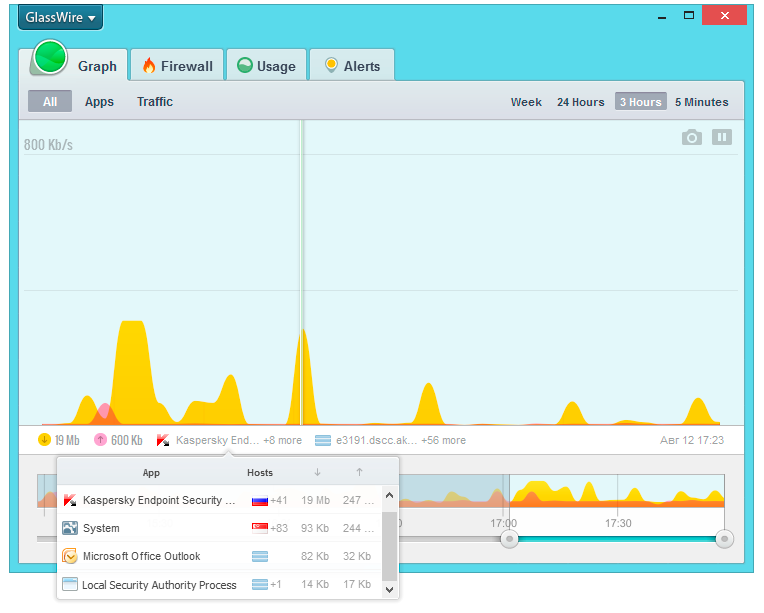 GlassWire has built-in Firewall, which is very easy to use, you can block network traffic for any application, you can see realtime speed for any application. 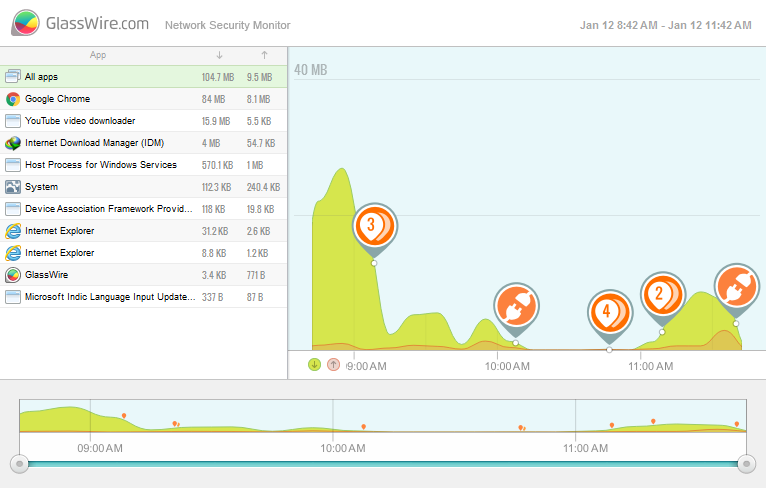 GlassWire has different types of Pre-Configured Alerts, which are super useful to visualize your Network. 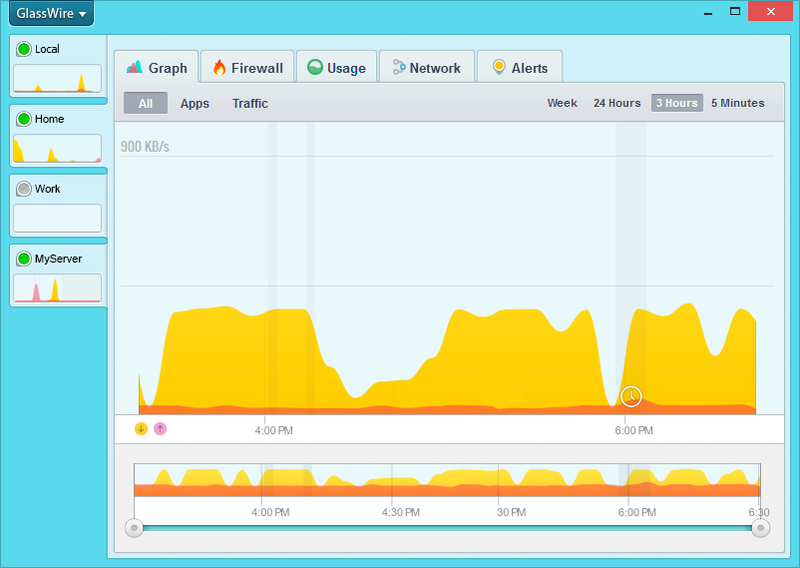 GlassWire includes very simple Firewall Interface, So You can easiliy Allow/Block Network Traffic for any Application. You can also see real-time speed of Internet used by some running software. 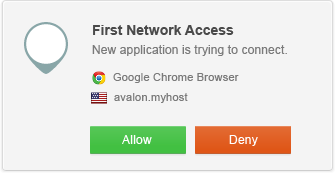 just click on fire icon, exists in very left side of app, you can block internet for that software, also you can easiliy turn ON/OFF Firewall. 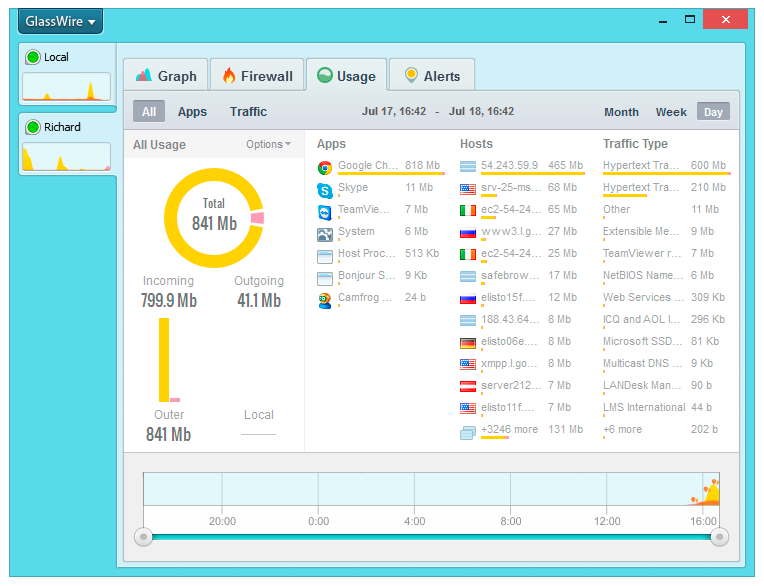 GlassWire has very sweet Graphs with some unique themes for it, If you are using Classic Theme, You can visualize download speed with Yellow color and Upload speed with Pink color. 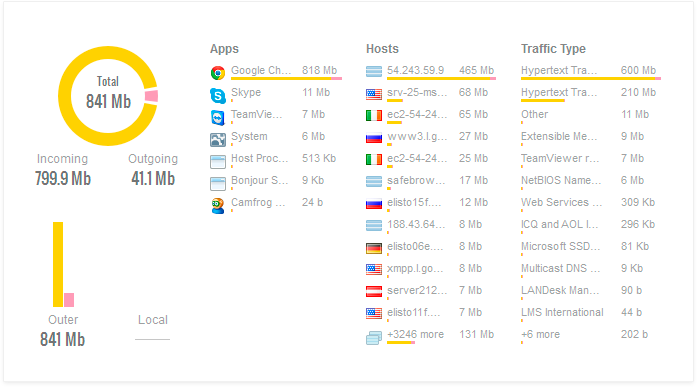 With the help of Network Timeline you can see which apps had used, How much of Bandwidth (Downloaded+Uploaded) Data, and Data Usage for Given Protocol, and more, like hosts with which these apps had shared data. You can easily visualize Network Traffic used over a given timeline, that's why, they call it, Network Timeline, because as time-range changes, so does apps, traffic type data usage, alerts and list of accessed hosts. You can also manage and visualize real-time network traffic and more, because using GlassWire you can easily access it from Remote Machine, because each GlassWire software acts as local server for GlassWire, all you need is IP Address of remote Computer which has it installed and running. 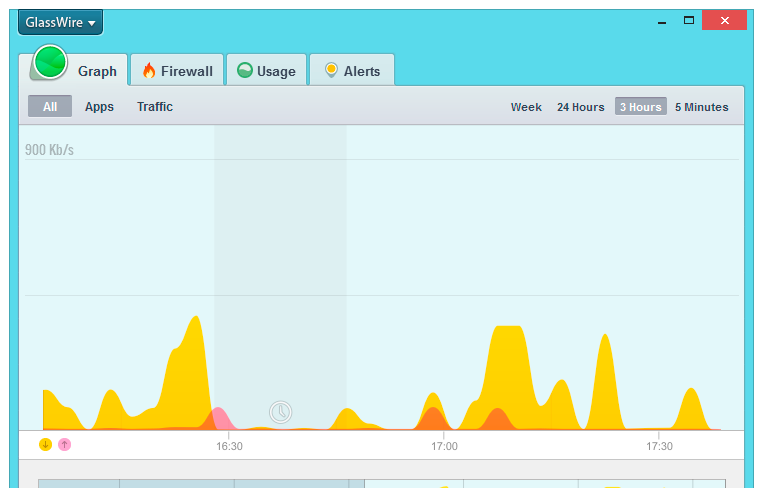 GlassWire has Incognito Mode, so that it won't record your network usage, but it will monitor real-time network traffic and network usage, but as soon as you turn off this Mode, it will delete that section from GlassWire History, and now you don't have to clear all history of GlassWire. 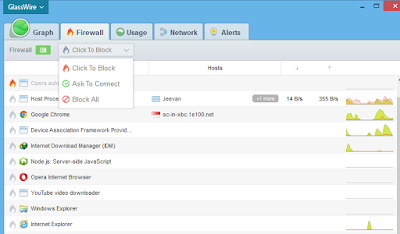 `Pro` - Within GlassWire Firewall, this mode is useful, when you want to be notify for every new connection, and you want to manually allow network connction for that application. 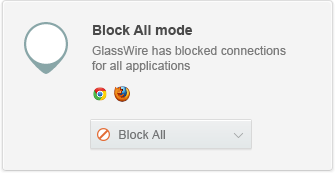 `Pro` - You can block network traffic for all apps using this mode, all you need to do is, active this mode, using this button in GlassWire Firewall Tab. 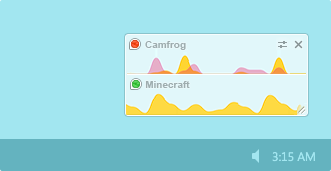 GlassWire can show you Mini Graph, so that you can put this Widget on to your Desktop Screen. it is really useful. 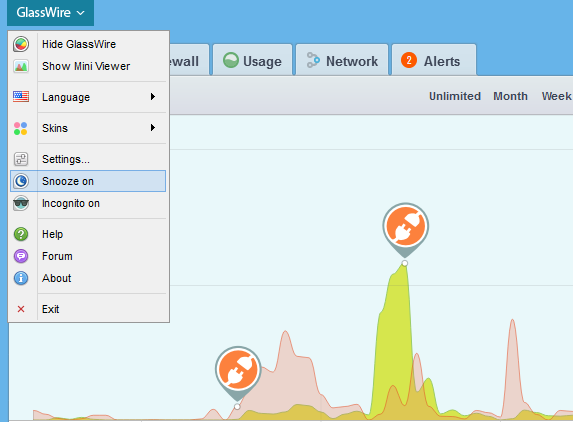 GlassWire can notify you when any software try to access you Webcam or Mic of your Laptop or Desktop. Who's on your WiFi or Network? `Pro` - If you want to know, who are connected to your Wifi Router or Wifi Access Point, Because, sometimes you are so confused about data usage and want to monitor, who is using Internet using your Wifi Router. 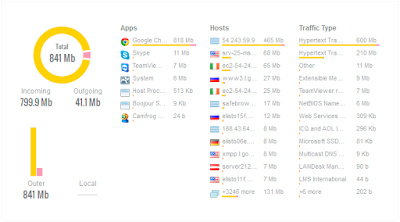 You can monitor and manage Remote GlassWire instance using your local GlassWire software, all you need to do is allow remote connections for your local GlassWire Server, configure some password and after that add remote GlassWire server details, like IP address. 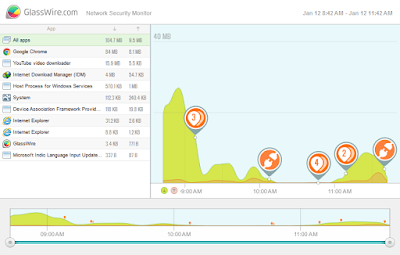 Now GlassWire software interface will change, and you can manage and visualize in real-time. 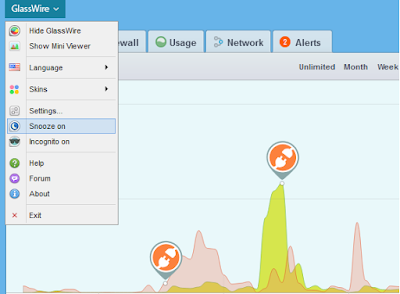 GlassWire can notify you when some new Software try to access Internet or network traffic, this is very useful, because sometimes nasty Virus try to connect to their creator and give them control of your own computer and this is not cool at all. 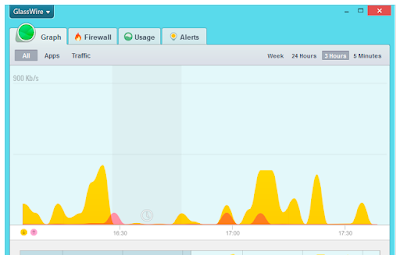 GlassWire can evaluate and generate simple report for you when it detect no user activity or your computer goes to sleep mode, for this you need to configure this Alert using GlassWire Settings.